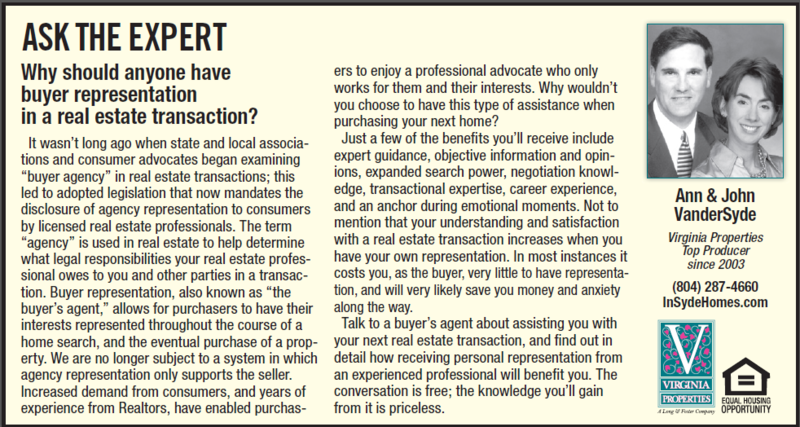 Why should anyone have “Buyer Representation” in a real estate transaction? It wasn’t long ago when state and local associations, and consumer advocates, began examining “buyer agency” in real estate transactions; this lead to adopted legislation which now mandates the disclosure of agency representation to consumers by licensed real estate professionals. 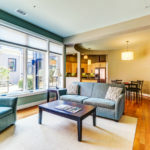 The term “agency” is used in real estate to help determine what legal responsibilities your real estate professional owes to you and other parties in a transaction. Buyer Representation, AKA “the buyer’s agent”, allows for purchasers to have their interests represented throughout the course of a home search, and the eventual purchase of a property. We are no longer subject to a system in which agency representation only supports the Seller. Increased demand from consumers, and years of experience from Realtors, has enabled purchasers to enjoy a professional advocate who only works for them and their interests. Why wouldn’t you choose to have this type of assistance when purchasing your next home? Just a few of the benefits you’ll receive include expert guidance, objective information and opinions, expanded search power, negotiation knowledge, transactional expertise, career experience, and your anchor during emotional moments. Not to mention that your understanding and satisfaction with a real estate transaction increases when you have your own representation. In most instances it costs you as the buyer very little to have representation, and will very likely save you money and anxiety along the way. Talk to a buyer’s agent about assisting you with your next real estate transaction, and find out in detail the benefits of receiving the personal representation that years of experience has made available to you. The conversation is free; the knowledge you’ll gain from it is priceless!